SALT LAKE CITY – The University of Utah men’s tennis team announced Friday the hiring of Daniel Pollock as Assistant Coach. After serving in the same role at BYU for the past two seasons, Pollock will join the Ute coaching staff effective immediately. Born and raised in Manchester, United Kingdom, Pollock played collegiate tennis for a year at Anderson University (2003-2004) before transferring to the University of Hawaii at Hilo (2004-2007), where he was named to the All-Pacific West Conference team in 2006 and 2007, while his team was ranked as high as #27 in the nation. He is an ITA West Region and National Winner of the Arthur Ashe Award for Sportsmanship and Leadership for on-court achievements, academics, and community service. At Hawaii-Hilo Pollock earned a Bachelors Degree in Health and Physical Education with Highest Honors (4.0 GPA) and was named Scholar Athlete of the Year twice. He continued his education and started his coaching career at the University of Illinois at Chicago where he earned a Masters Degree in Applied Exercise Physiology. Serving as the Assistant Men’s Coach from 2007-2009. he led the team to the two most successful seasons in program history, finishing as the Horizon League runners up in the regular season and tournament championships in both years. He coached 7 All-Conference players and helped Bastian Harbo to the most successful season in program history with 27 wins. 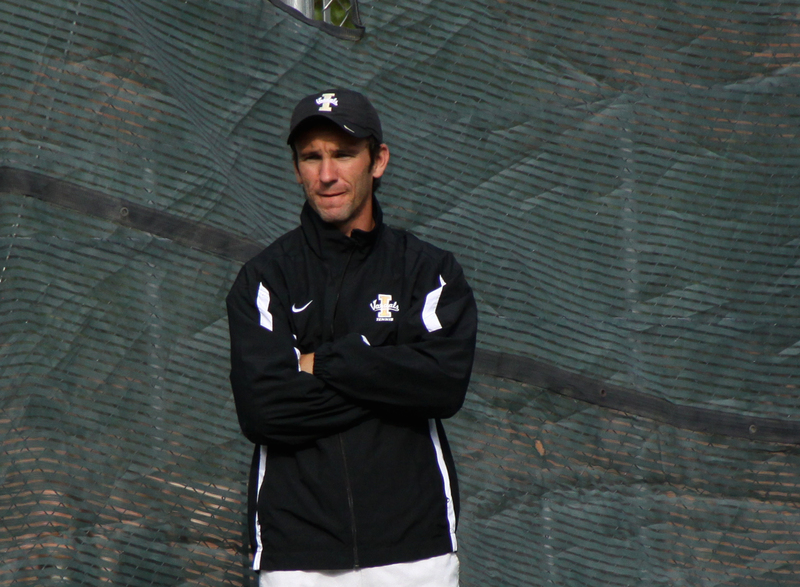 Pollock returned to the University of Hawaii at Hilo serving as the Assistant Men’s and Women’s Coach for one season, where he was named the ITA West Assistant Coach of the Year in 2010. In August of 2010 he started a new adventure at the University of Idaho serving as the Assistant Men’s Coach during the 2010-2011 season and as the Head Women’s Coach from June 2011 through December 2012. During his tenure at Idaho, both teams had record performances. On the men’s side the Vandals reached their highest national ranking in program history at No. 46, while Marius Cristea ranked a program high No. 56 in the ITA National Rankings. Pollock also assisted Lachlan Reed to win a program record of 31 victories in a single season. On the women’s side, in his first job as a head coach, Pollock inherited a team with only three players mid-summer, but ended up leading a team full of freshmen and sophomores to a 19-8 record, which to date marks as the second highest win percentage in school history. His team had marque wins over Houston, BYU and Kansas, while six of seven student-athletes earned ITA Scholar-Athlete status. During his tenure at Idaho, Pollock earned a PhD (ABD – All But Dissertation) in Exercise Physiology. Pollock most recently worked as an Assistant Coach for the men’s tennis team at BYU for the past two years, guiding the Cougars to a high national ranking of No. 30 and a team NCAA tournament appearance in 2013. During that same season he helped Patrick Kawka and the doubles tandem of Kawka and Francis Sergeant to No. 1 rankings in the ITA Mountain Region in singles and doubles respectively. Coach Pollock is a published author in the areas of exercise physiology and sports psychology. Welcome to the U, Coach Pollock! This entry was posted in Recruiting News, Uncategorized and tagged Assistant Coach, Coaching Staff, Daniel Pollock, Roeland Brateanu. Bookmark the permalink.